Interstate 14 is a proposed highway that would run from Interstate 10 in West Texas to Interstate 20 in Augusta, Georgia. Interstate 14 will connect many places to one another: it will connect forts, ports, major cities, and other highways. These connections will provide a robust transportation network. The connections that I-14 makes between military installations and ports means the training of soldiers will be enhanced and many more deployment options will be available. This will increase the efficiency of our military and make our nation safer overall. I-14 will run through some of the poorest parts of our nation. 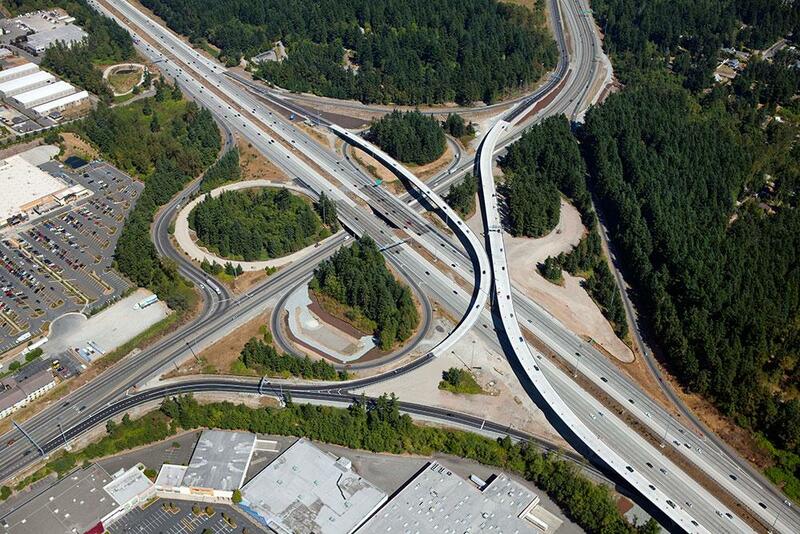 This highway will address the impoverished areas it goes through by providing opportunity for those living there. This opportunity comes through better business and better business is better for everyone. Congress commissions a study to be completed on the I-14 concept. The Federal Highways Administration completed a study outlining route alternatives from Natchez, MS to Augusta, GA and presented it to congress. The Fixing America's Surface Transportation Act (FAST) is signed by President Obama officially assigning the Future I-14 designation to the US 190 Central Texas Corridor. The first stretch of I-14 was built from US 190 in Killeen, TX near Fort Hood connecting it to I-35. The Fall Line Freeway completed running from the Georgia/Alabama border to Augusta, the groundwork for I-14. 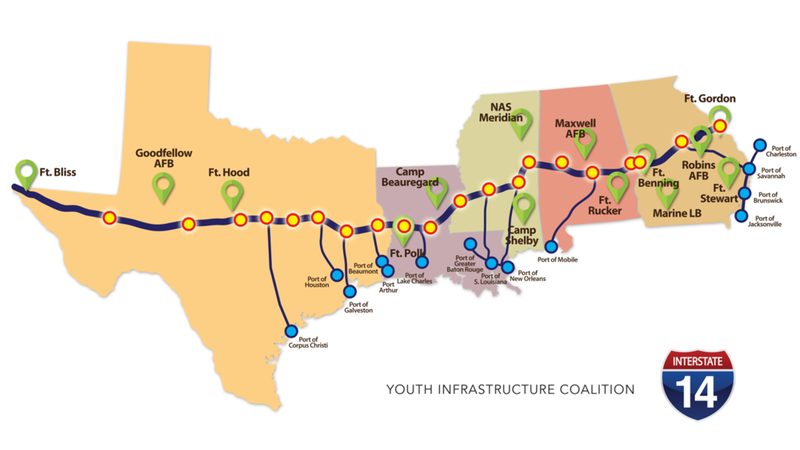 Youth Infrastructure Coalition formed with the main objective to push for I-14 through Georgia and Alabama. Columbus-Muscogee County, GA becomes the first city to pass a resolution advocating for I-14. Three State Congressional Caucus formed and led by Representative Brian Babin with representatives from Texas, Louisiana, and Mississippi. The Mississippi General Assembly and the Mississippi Department of Transportation pass a resolutions promoting I-14 in the state. Youth Infrastructure Coalitions joins the Community Foundation of the Chattahoochee Valley to create a non-profit fund helping spread awareness of the I-14 project to better help the lives of those living in poverty. The Russell County, AL Commission passes a resolution advocating for I-14, making them the first community in Alabama to push for the Interstate. “My14” Video aires spreading word about I-14 across the southeast and receiving national attention. Representative Drew Ferguson joins the I-14 Congressional Caucus, marking the first federal representative on the caucus outside of Texas, Louisiana, and Mississippi. Fifteen Resolutions passed in support of I-14 along the route in Georgia and Alabama including Macon-Bibb County, GA and Phenix City, AL. Augusta-Richmond County, GA passes a resolution for I-14 locking in support from the three largest cities along the route.